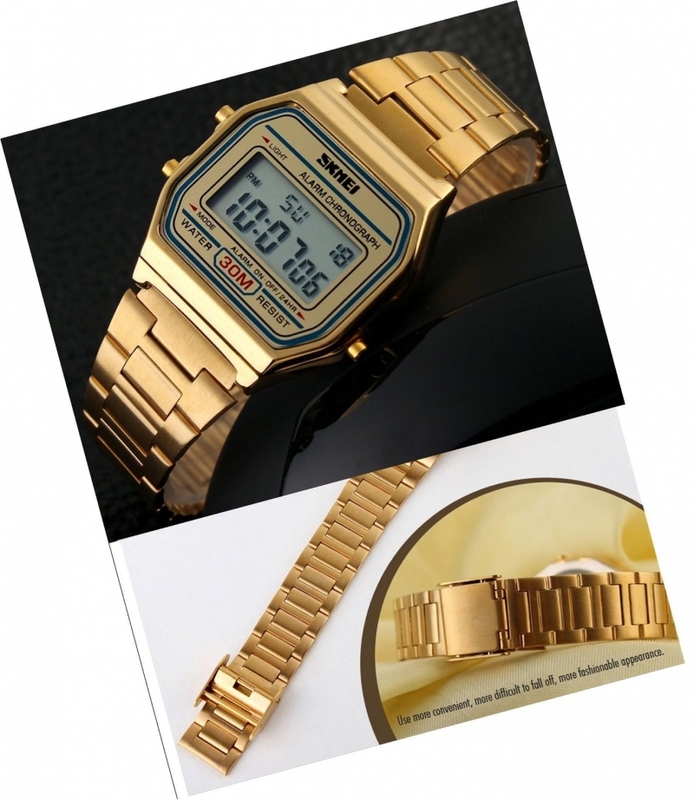 The Pasoy Digital Gold Watch is made with stainless steel case back and matching link bracelet. The band is made of steel; therefore, it is not suitable for any sports activities. It is made purposely for special occasions and business events. 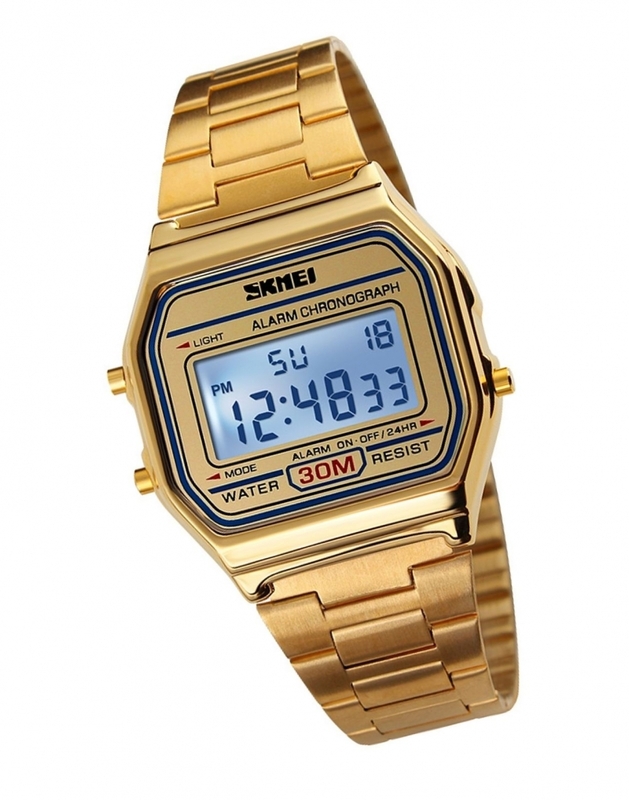 The watch has a golden color which makes it stand out of the reset. 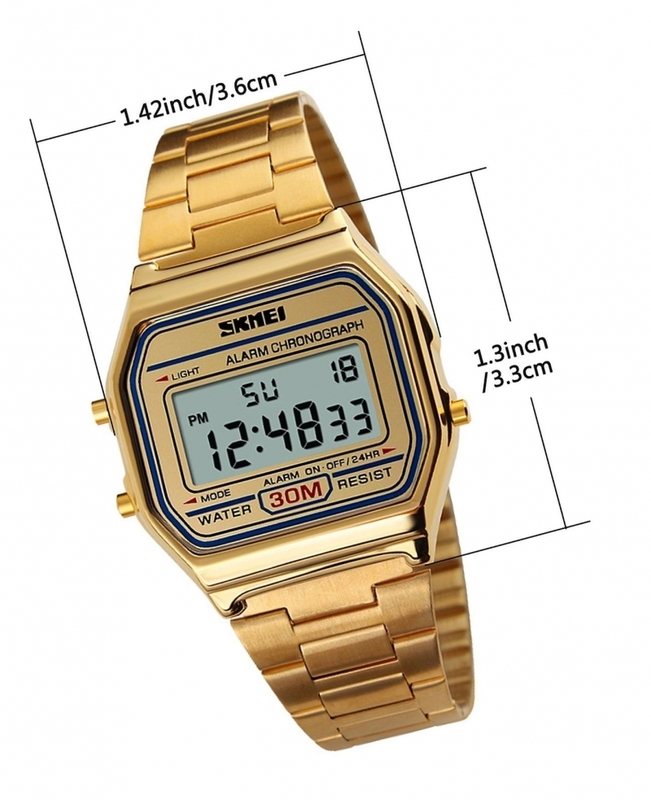 This Pasoy digital watch is equipped with a three-year battery life. It also comes with an LED backlight, and it has a dimension of 1.2 x 3.3 x 0.7 inches and weighs 0.32-ounces. This stylish Pasoy has a protective mineral crystal protects the watch from scratches. It is water resistant with up to 20-meters, and it can withstand rain and splashes of water but not showering. The watch has the following features as well, alarm, 12/24-hour format, 1/100 seconds stopwatch. 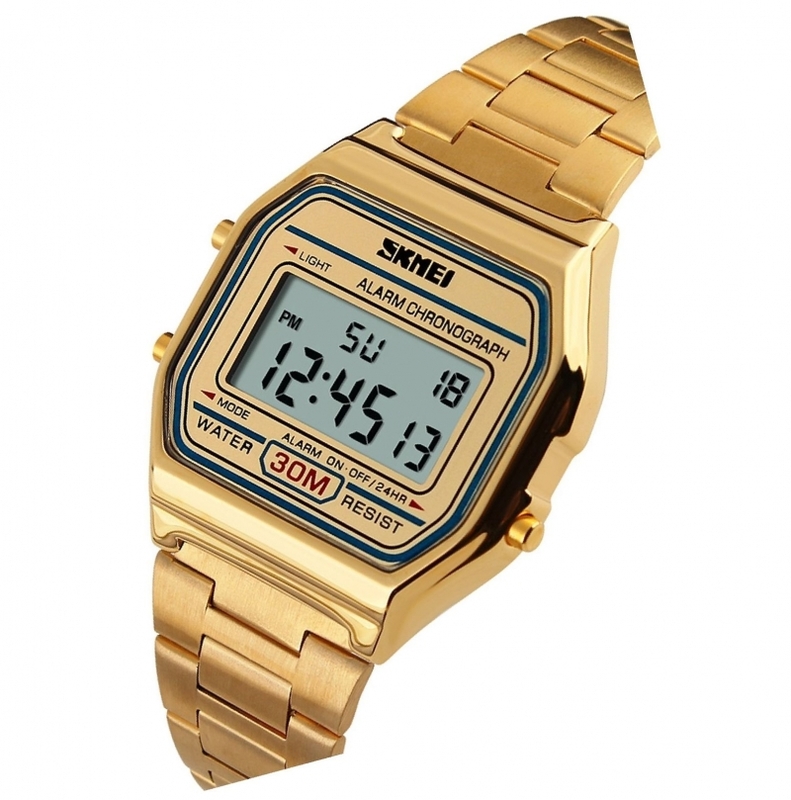 This watch has an amazingly good looking which makes it an ideal gift for a friend or family member.